Diagnosis of polycystic ovary syndrome (PCOS) is challenging, and there should be no rush to label an adolescent as having the condition before a thorough evaluation of symptoms, according to a leading endocrinologist who was speaking at the RCOG World Congress 2018 in Singapore. A new ‘cooling’ drink product incorporating elements of traditional Chinese medicine (TCM) was launched in Kuala Lumpur recently. 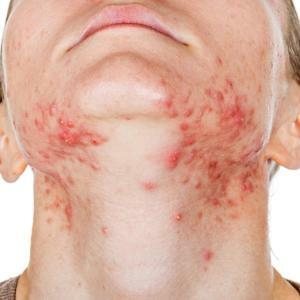 Depression symptoms in acne patients may improve following treatment with isotretinoin, according to a systematic review and meta-analysis. The third-generation epidermal growth factor receptor tyrosine kinase inhibitor (EGFR-TKI) osimertinib affords better progression-free survival (PFS) than standard EFGR-TKIs in the first-line treatment of EGFR mutation–positive advanced nonsmall-cell lung cancer (NSCLC), with similar safety profile and lower serious adverse event rates, as reported in the phase III FLAURA trial. Two phase III studies have demonstrated the superiority of the selective interleukin-23p19 inhibitor risankizumab over ustekinumab or placebo in helping patients with moderate-to-severe chronic plaque psoriasis reduce the severity of their condition. “[S]elective blockade of the p19 subunit of interleukin-23 with risankizumab was superior to dual inhibition of interleukin-12 and interleukin-23 by ustekinumab in providing substantial skin clearance with a rapid onset and durable maintenance, supporting the strategy of a more targeted approach,” said the researchers. “[T]he absence of fluctuations in efficacy between dosing in risankizumab-treated patients confirms the appropriateness of the 12-week dosing interval,” they added. Participants in the UltIMMa*-1 (n=506, mean age 48 years, 71 percent male) and UltIMMa-2 (n=491, mean age 47 years, 68 percent male) studies were adults with moderate-to-severe chronic plaque psoriasis enrolled from 139 sites in 14 countries who were randomized to receive either risankizumab (150 mg; n=304 and 294 in UltIMMa-1 and 2, respectively), ustekinumab (45 or 90 mg [weight dependent]; n=100 and 99 in UltIMMa-1 and 2, respectively), or placebo (n=102 and 98 in UltIMMa-1 and 2, respectively). The studies were divided into parts A (initial 16-week period) and B (weeks 16–52) and study drugs were administered subcutaneously at weeks 0, 4, 16, 28, and 40. 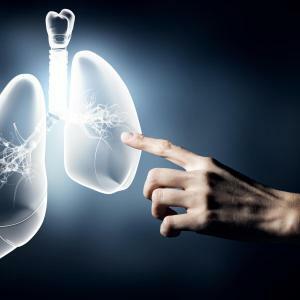 Patients who initially received placebo were switched to risankizumab at 16 weeks, with the other patients continuing their initially assigned treatments for up to 52 weeks. More patients on risankizumab also achieved sPGA*** score of 0 or 1 at 16 weeks compared with those on placebo (87.8 percent vs 7.8 percent, adjusted difference, 79.9 percent) or ustekinumab (63.0 percent, adjusted difference, 25.1 percent; p<0.0001 for both comparisons) in UltIMMa-1 and in UltIMMa-2 (83.7 percent vs 5.1 percent [placebo], adjusted difference, 78.5 percent, and 61.6 percent [ustekinumab], adjusted difference, 22.3 percent; p<0.0001 for both comparisons). At week 52, PASI 100 was achieved by more patients randomized to receive risankizumab compared with those who received ustekinumab in both UltIMMa-1 (56.3 percent vs 21.0 percent) and UltIMMa-2 (59.5 percent vs 30.3 percent; p<0.0001 for both studies), as was sPGA 0 (57.6 percent vs 21.0 percent in UltIMMa-1 and 59.5 percent vs 30.3 percent in UltIMMa-2; p<0.0001 for both studies). By week 52, patients initially on placebo who were switched to risankizumab at week 16 had comparable PASI and sPGA response to those who received risankizumab from study onset. Treatment-related adverse events (TRAEs) occurred at a similar rate between patients on risankizumab, placebo, and ustekinumab in part A of UltIMMa-1 (49.7, 51.0, and 50.0 percent, respectively) and UltIMMa-2 (45.6, 45.9, and 53.5 percent, respectively) and in patients treated with risankizumab and ustekinumab in part B of UltIMMa-1 (61.3 and 66.7 percent, respectively) and UltIMMa-2 (55.7 and 74.5 percent, respectively). Among patients who switched from placebo to risankizumab, TRAEs occurred in 67.0 and 64.9 percent in UltIMMa-1 and UltIMMa-2, respectively. “Risankizumab had greater efficacy and similar safety compared with placebo and ustekinumab [and] clinical response to risankizumab treatment was rapid,” they said. The researchers recommended further study to assess long-term outcomes of risankizumab treatment as well as studies involving patients from different ethnic backgrounds to improve the generalizability of the findings. Asia's trusted medical magazine for healthcare professionals. 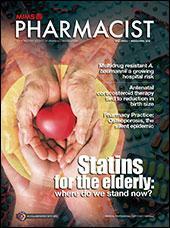 Get your MIMS Pharmacist - Malaysia digital copy today!